Stunning, Full Brick, 3/4 Bdrm. 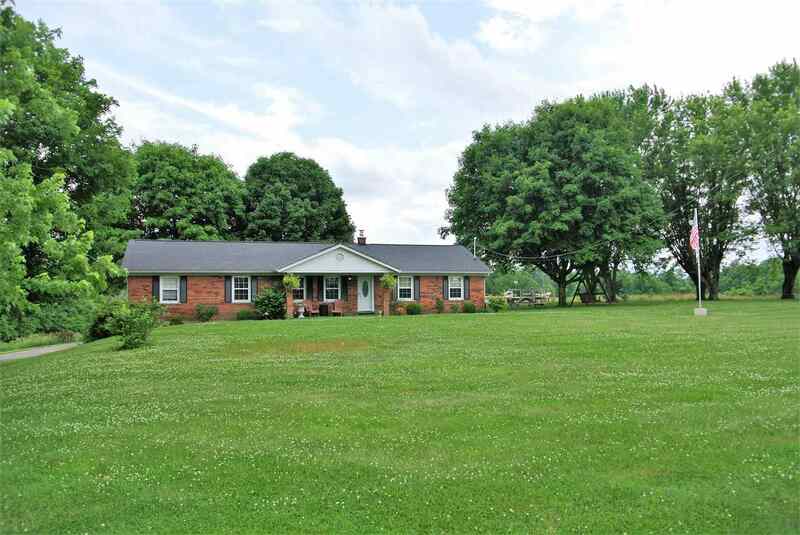 Ranch Home on Over 12 Acres! Tree-lined, circle drive*Home has been completely updated! 36' x 28' Workshop w/electric & concrete floor & 28' x 16' Lean-to*Gorgeous Lake w/aerator*Open Floor Plan*Granite Counter-tops*Finished lower-level w/walk-out*New Flooring, Paint & baths w/custom tile*24' above ground pool w/deck*Beautiful setting to enjoy the country/mini-farm!